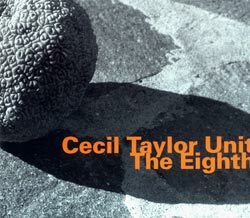 The second set of Cecil Taylor's superb live set at Grosser Saal Volkshaus, in Basel, Switzerland in 1981, performing solo over five improvisations, presented for the first time in the original concert sequence. 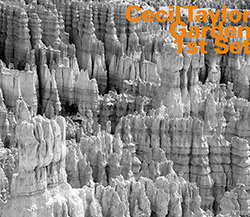 Reissue and 2015 remaster of Cecil Taylor's superb live set at Grosser Saal Volkshaus, in Basel, Switzerland in 1981, performing solo over three extended improvisations, presented for the first time in the original concert sequence. 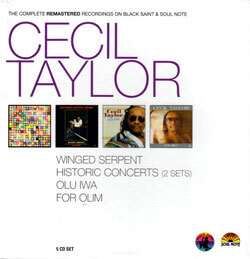 A 5 CD set reissuing New York avant-jazz pianist Cecil Taylor's albums "Winged Serpent"; "Historic Concerts"; "Olu Iwa"; "For Olim", all remastered and presented in a handsome box set. 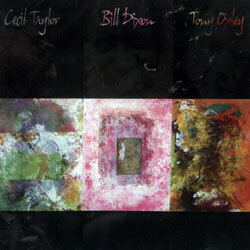 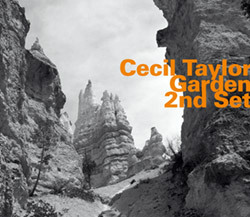 Taylor, Cecil Quintet: Hard Driving Jazz + Looking Ahead! 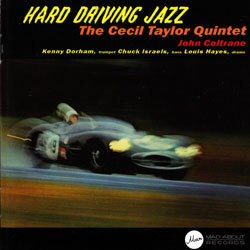 Reissuing Cecil Taylor's 1958 album with John Coltrane, an incredible forward thinking and inspired session; and Taylor's 2nd studio album from 1958, "Looking Ahead", in a quintet setting.